Patricia E Dunn graduated with honors from Russell Sage College with a degree in Physical Therapy and is licensed in New Jersey and New York. Patricia started her career at Kessler Institute for Rehabilitation where she treated patients with spinal cord and traumatic brain injuries as well as other neurological conditions. She was an active member of the quality assurance committee and enjoyed her role as a clinic instructor for future physical therapists. Patricia then joined Lennox Physical Therapy Associates where her interest in orthopedics developed. 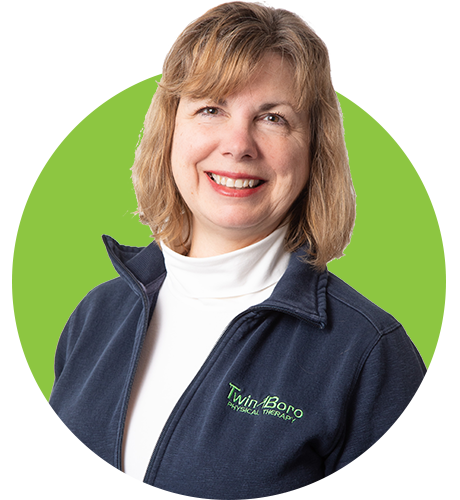 Patricia joined Twin Boro Physical Therapy first as a staff therapist in the Somerset/North Brunswick office and advanced to become the Clinical Director in our Parlin/Sayreville clinic. Patricia’s desire to serve the community led to expanding her knowledge of orthopedic injuries. Whether these injuries resulted from sports, work or overuse, she applies her skills with patients of all ages. 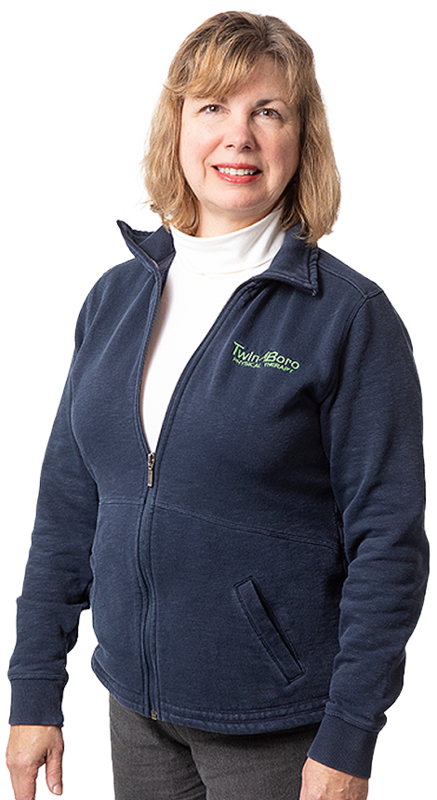 Patricia is a certified orthopedic specialist through the APTA and has advanced her education with course work with Robin McKenzie, Brian Mulliagan, Paris, the Institute for Physical Art and osteopathic manual technique. She is a member of the Commission on Aging in Sayreville/Parlin as well has been a speaker at the local high school and neighboring town senior centers. Her dedicated and compassionate treatment while restoring function with evidence-based care has made patients and their families return to her for care. Her extensive knowledge in manual techniques as well as exercise, has helped her progress patients to their fullest potential. When treating patients or managing other therapists, Patricia implements Twin Boro’s One2FourTM Care Model to determine the “right level of health care” for each individual. This unique approach looks at the entire episode of care for the patient or athlete. This ranges from a relatively low level of function a patient might experience post injury or surgery all the way through to the peak performance required to return to their prior or preferred level of function. Therapists that skillfully combine manual therapy with evolving functional exercise along the One2FourTM continuum strive to achieve the individual’s “meaningful goals” and “desired outcomes”.